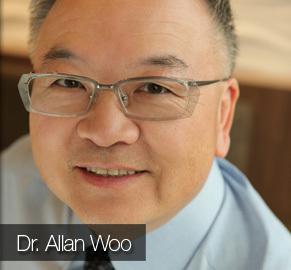 Dr. Allan Woo – Centro Dental in Richmond BC Gives Back! Alive Health Centre, Morning Sun and Supplements Plus are all about prevention and early detection. This is why we LOVE Centro Dental as they are all about helping kids learn he importance of taking care of their teeth. Oral health is vital for your child’s over all health. 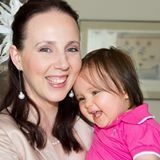 As most of you know, I am a mother of two little girls and both of them go to Centro Dental in Richmond BC to see Dr. Danielle Woo. Something that Alive Health Centre, Morning Sun and Supplements Plus are excited to share with all of you is how they are giving back to children in need. Hope you enjoy this post… and thank you Centro Dental, it is amazing what can be accomplished if we all stick together. Importance of a healthy mouth in early life, Centro Dental helps! The Academy of Pediatric Dentistry recommends every child to have their first dental visit by age 1. I know what you may be thinking. A 1 year old only has a few brand new teeth. What dental problems could they have? A baby’s first dental visit is a fun visit and helps establish the importance of oral and dental health early on. 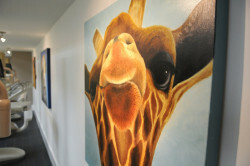 It is also an educational visit for parents. Parents are educated about proper infant oral hygiene, diet, and habits such as pacifier-use or thumb-sucking that may affect the teeth. Prevention is the key to a healthy mouth! – Healthy teeth require less extensive treatment, saving time and money. – Baby teeth hold space for permanent teeth, guiding them into place. Premature loss of baby teeth can result in crooked permanent teeth. – Healthy teeth leads to better general health and nutrition. – Healthy smile helps your child build self-confidence. Unfortunately, not all children receive regular dental care. There are many barriers as to why children don’t receive dental care, and poverty is one of them. In an article published in The Vancouver Sun on November 18, 2013, “Hundreds, if not thousands, of B.C. kids go to school hungry“, Daphne Bramham reveals the astonishing number of poverty-stricken children in our province. These children not only go to school without breakfast, but lack basic necessities such as eyeglasses, clothing, money for field trips and dental care. 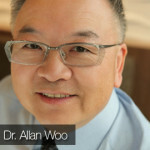 Dr. Allan Woo, wife Lynn Woo and her business partner Peter Young responded immediately to the article. Lynn and Peter’s charity foundation, Hearts of Gold, has been donating to food programs in Vancouver’s east side for the last two years. They were shocked to learn the need in their own hometown of Richmond. Centro Dental, together with Hearts of Gold, have committed to donating $100,000 over the next 10 years to help feed needy children in Richmond. In addition to the generous donation, the Centro Dental Team will be providing free dental care to children of low-income families with urgent dental needs identified by Vancouver Coastal Health. And of course, we will be educating children and their parents about the importance of dental health and prevention of dental disease. Thank you Centro Dental for your generosity. Centro Dental is truly more than a business, they are human and truly care. Their office is friendly, up to date, professional while at the same time make it easy for patients that have children, while still maintaining a calm, relaxing environment for patients that prefer piece and quiet. As always thank you for reading! We hope that you will come and visit us at either Alive Health Centre, Morning Sun or Supplements Plus. Do not sit in silence; there are so many things you can do to better your health! Get excited and take charge of your health. Let’s work together, along with your doctor to ensure you are doing all you can to lead a happy and healthy life. Our team looks forward to helping you with what ever your health concerns are. Nature’s Aid – One Product so many Uses!